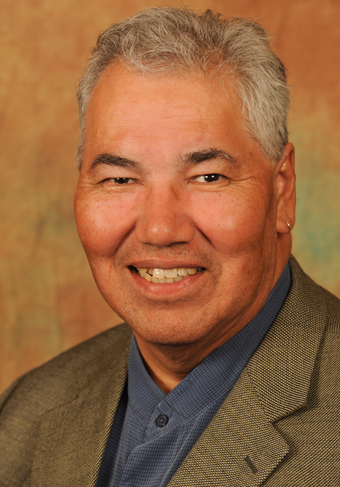 The Honourable Justice Murray Sinclair was born just north of Selkirk, Manitoba, at what used to be St. Peters Reserve. His Ojibway name Mizanay Gheezhik, means "the One Who Speaks of Pictures in the Sky,” and Sinclair has spent his life creating a new image of justice for Aboriginal people. He showed early promise and was valedictorian for his graduating class and Athlete of the Year at Selkirk Collegiate. Sinclair continued his academic career at The University of Winnipeg, studying sociology with a history minor in 1975. He then attended the Faculty of Law at the University of Manitoba, where he graduated in 1979. Sinclair was Manitoba’s first Aboriginal judge, appointed Associate Chief Judge of the Provincial Court of Manitoba in 1988. In the same year, he was appointed co-commissioner of the Aboriginal Justice Inquiry, with Associate Chief Justice A. C. Hamilton. Their in-depth study produced almost three hundred recommendations that still impact our justice system today. His high-profile responsibilities also included directing the very complex Pediatric Cardiac Surgery Inquest at the Health Sciences Centre and serving as legal counsel for the Manitoba Human Rights Commission. His biggest impact, perhaps, came with his 2009 appointment as Chair of the Truth and Reconciliation Commission of Canada, part of a comprehensive response to the Indian Residential School legacy. The Commission’s mandate was to inform all Canadians about what happened in Indian Residential Schools and document the truth of survivors, families, communities and anyone personally affected by the Indian Residential Schools experience. Sinclair has spent his life in public service on behalf of all Manitobans, having served on numerous community boards including The John Howard Society, The Social Planning Council of Winnipeg, Ma Mawi Wi Chi Itata Centre, and UWinnipeg's Board of Regents, among others. In 1994, he was honoured with one of the first National Aboriginal Achievement Awards and in 2015, the University recognized Sinclair’s body of work with the Duff Roblin Award.